If you are sending a letter or greeting card to someone special, add a personal touch to it by making a cute envelope yourself. 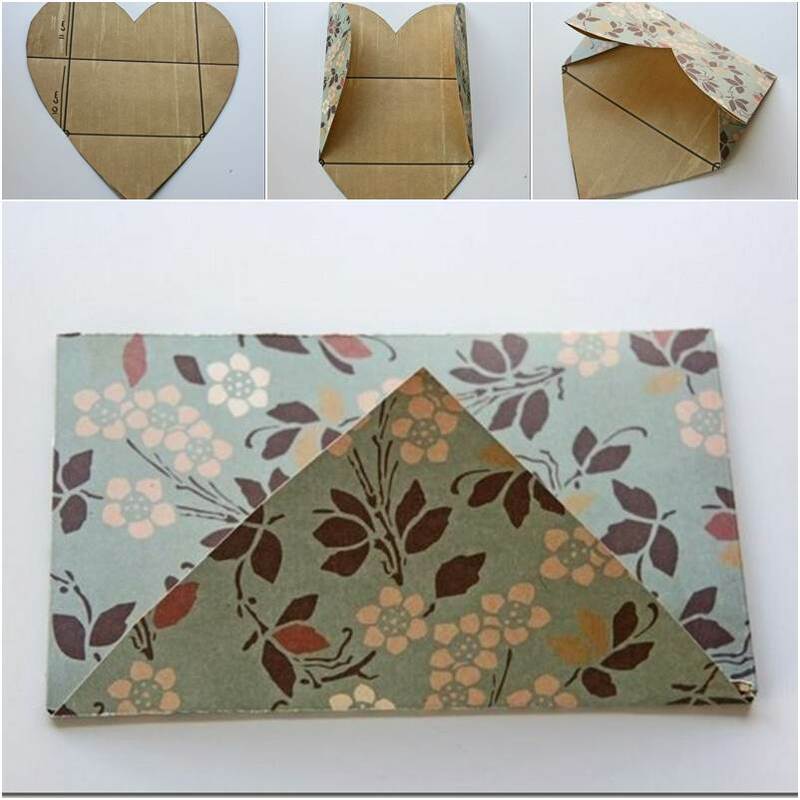 Here is a super easy way to make an envelope from a piece of heart shaped paper. You can do it in a few minutes. Just choose your favorite patterned paper and get started! Draw a heart shape on a piece of paper and cut it out as the template. Trace the heart shaped template on the patterned paper and cut it out. Draw the folding lines on the heart shaped paper. Fold the heart shaped paper according to the folding lines and in the order as shown in the pictures. A cute envelop is done!